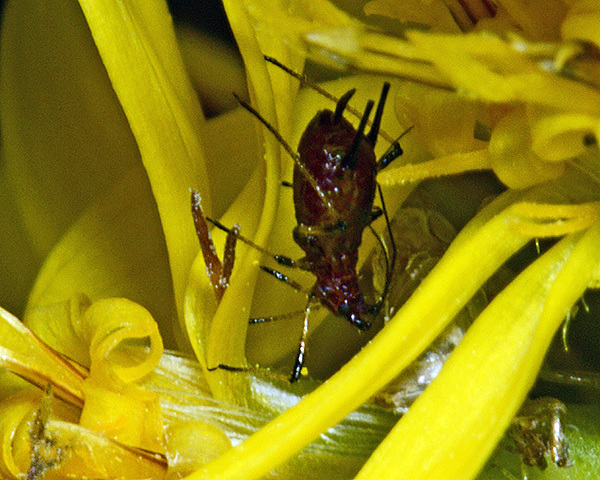 The clarified slide mounts below are of adult viviparous female Uroleucon solidaginis : wingless, and winged. We have only found the aphid Uroleucon solidaginis on one occasion - on a small group of plants of Solidago virgaurea at Dundreggan in Scotland. 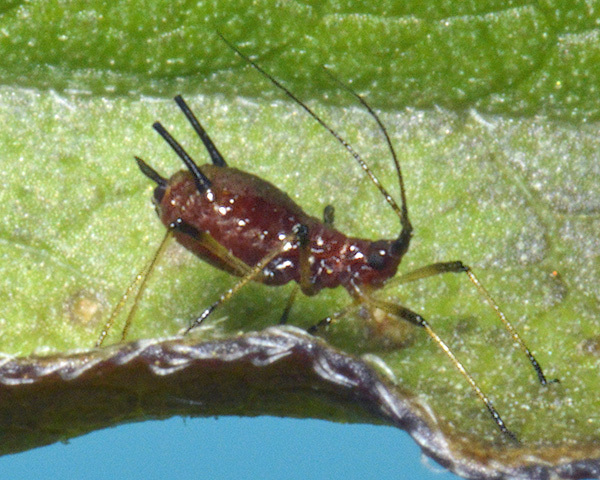 There was only one live aphid in the colony (a fourth instar nymph) and this was reared through to the adult for identification purposes (see picture above). Most of the colony had been parasitized, so the plant was covered with large numbers of golden brown mummies. All primary parasitoids had already emerged, so we cannot make a positive identification of the parasitoids. The most commonly recorded species attacking Uroleucon solidaginis are Aphidius funebris (Tomanovic et al, 2003) and Ephedrus persicae (Tomanovic et al, 2009). 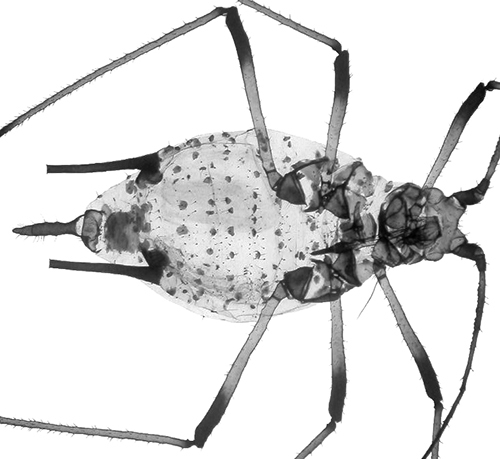 Two species of hyperparasitoid (parasitoid of the primary parasite) were reared from two Uroleucon solidaginis mummies. They were identified as Alloxysta arcuata and Phaenoglyphis villosa. 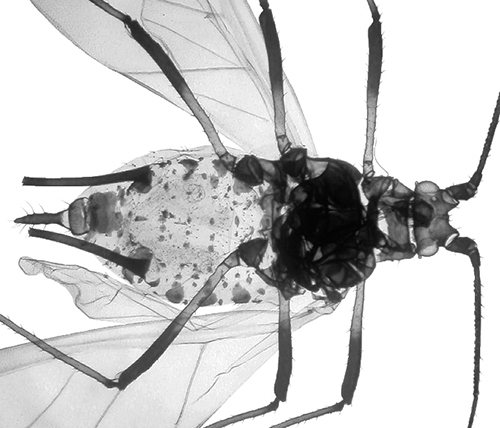 The hyperparasitoid Phaenoglyphis villosa is pictured above. Uroleucon solidaginis has been recorded on 3 Solidago species (Solidago canadensis, Solidago decurrens, Solidago virgaurea). 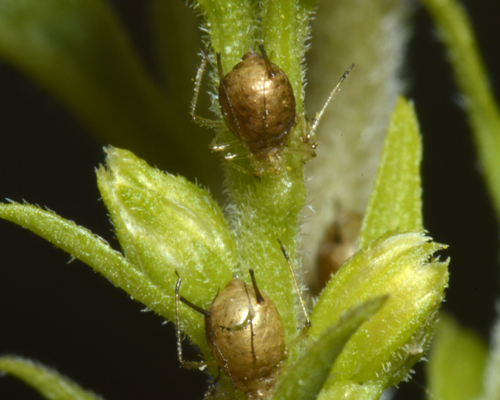 Blackman & Eastop list 9 species of aphid as feeding on goldenrod (Solidago virgaurea) worldwide, and provide formal identification keys. 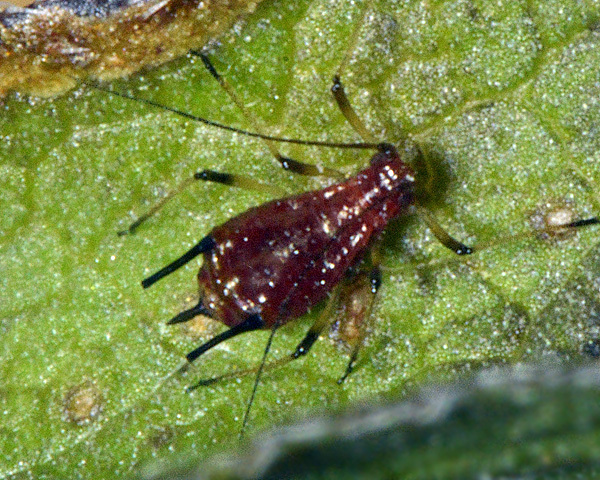 Of those aphid species, Baker (2015) lists 7 as occurring in Britain: Aphis fabae, Aphis gossypii, Brachycaudus cardui, Brachycaudus helichrysi, Macrosiphum euphorbiae, Myzus ascalonicus and Uroleucon solidaginis. 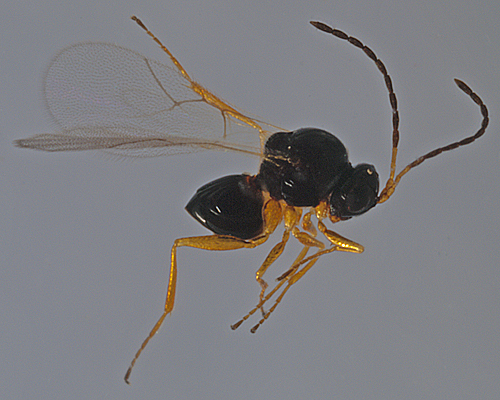 We are grateful to Mar Ferrer Suay and Edward Baker for identification of the hyperparasitoids.